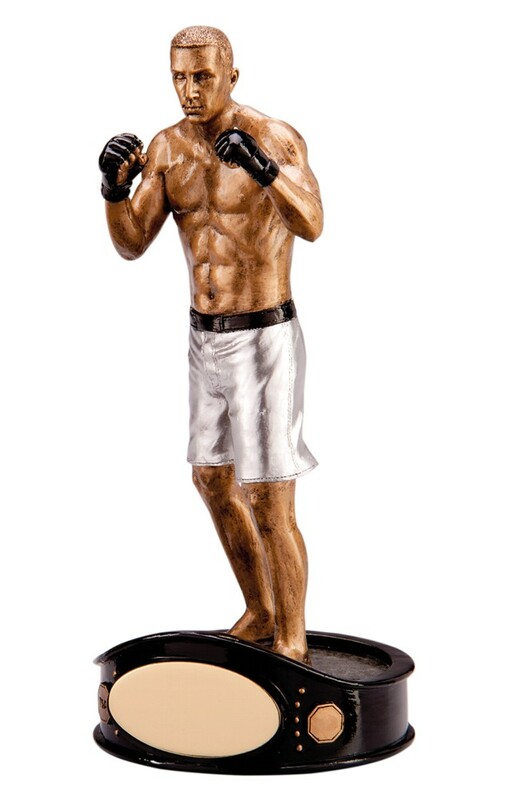 Resin Ultimate Mixed Martial Arts Fighter Figure Trophy. The figure measures 225mm tall and is excellently crafted and detailed with outstanding quality. Antique gold with silver shorts and black highlights mounted on a black custom belt base.